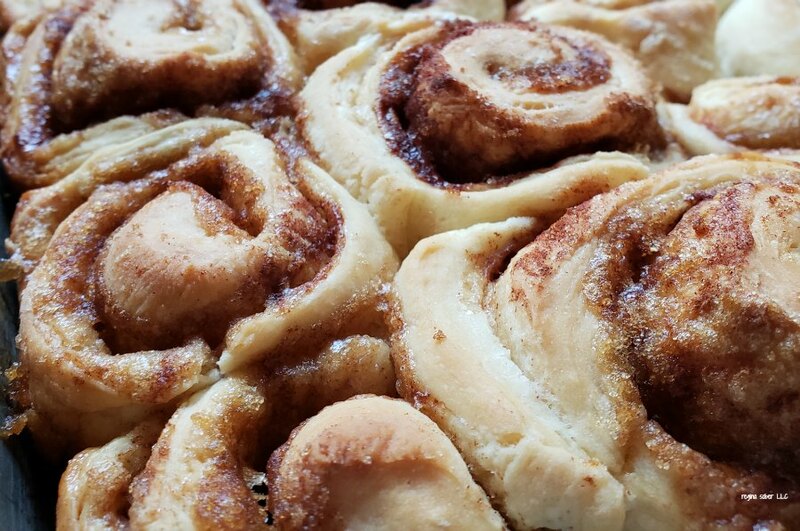 Cinnamon rolls are a family favorite. We enjoy eating them pretty much anytime we make them. We make them with and without the frosting on them as not everyone likes frosting. 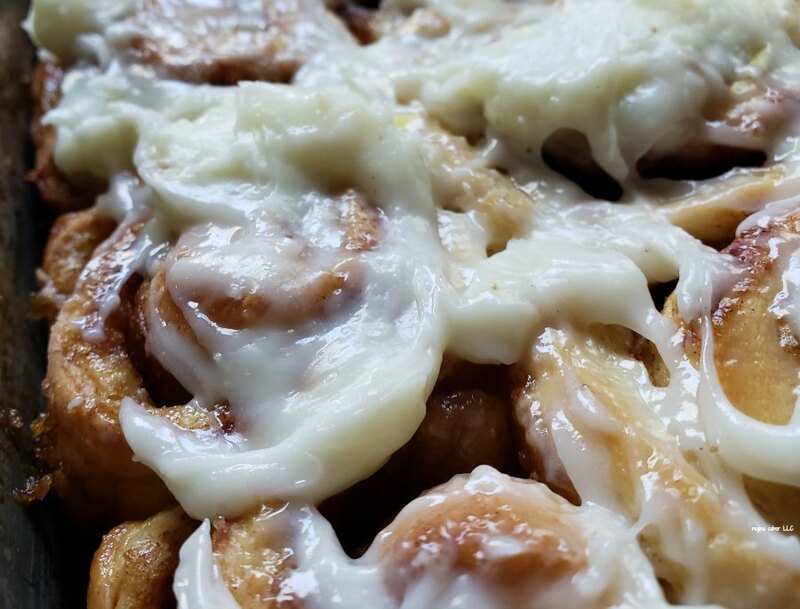 This just means more frosting for those who do. And maybe a spoonful or two. These will take some time to make because you have to let the dough rise and double in size, so plan ahead. 2. In a large bowl, add the shortening, salt, sugar and hot water. Mix to incorporate. Let the mix cool until the water is lukewarm, then add the yeast mix and stir. 3. Add in the beaten egg and stir. 4. Add the flour a little at time, mixing as you go. You can use a dough hook or knead by hand. I don’t like doing dishes, so I do this by hand once the dough starts to form. 5. Put the dough into a ball and rub a little butter on top. (you dont want it to stick to the bowl or cloth. Place a clean tea towel over the top in a warm area and allow to rise for (30 minutes to an hour) or double in size. 6. Once the dough has rose, remove 1/2 the dough from the bowl and put onto a floured flat surface. 7. Roll the dough into a rectangle shape. Spread half of the butter onto the dough. Sprinkle brown sugar on the dough and cinnamon on top of that so that it is lightly covered. 8. Roll the dough up into a long roll. Cut out 2 inch thick rolls with a sharp knife. 9. Place the rolls on a greased 9×13 baking pan. 10. Repeat again with the rest of the dough and ingredients. 11. Allow the rolls to rise for 30 minutes. 12. While the rolls are baking, mix the frosting ingredients together and set aside. To add a little flavor to the frosting, instead of vanilla add a teaspoon of lemon OR orange zest into the frosting. 13. Bake for 30 minutes until golden brown. Check with a fork to see if the dough in the middle is soft and not doughy. 14. 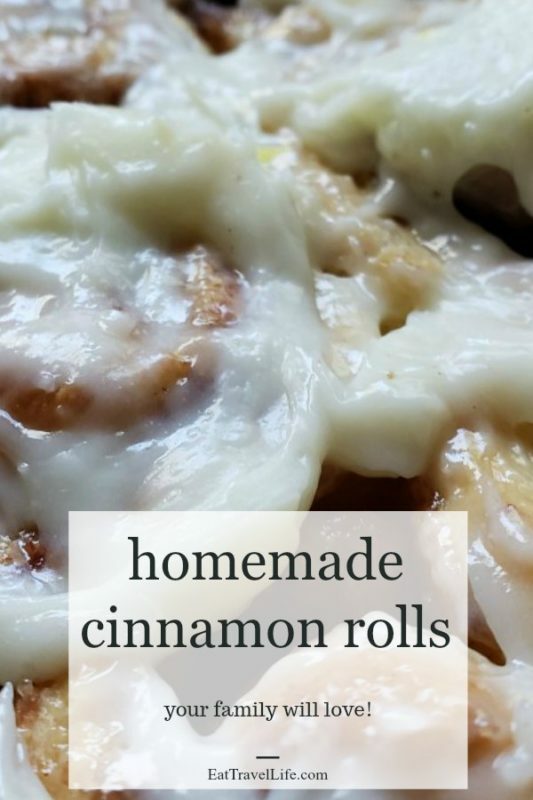 Add the frosting to all/some of the rolls and enjoy! Serve warm and enjoy. 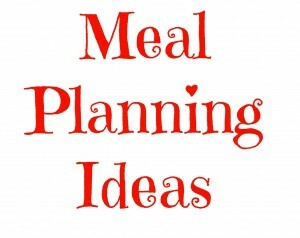 You can always microwave a roll for 15-20 seconds too!